You may have heard me talk about Julius T. Csotonyi’s amazing dinosaur art before. I’ve mentioned his book and his glow-in-the-dark prehistoric creatures coins as well as his silver Canadian Dinosaur coins, including his glow-in-the-dark Tiktaalik. 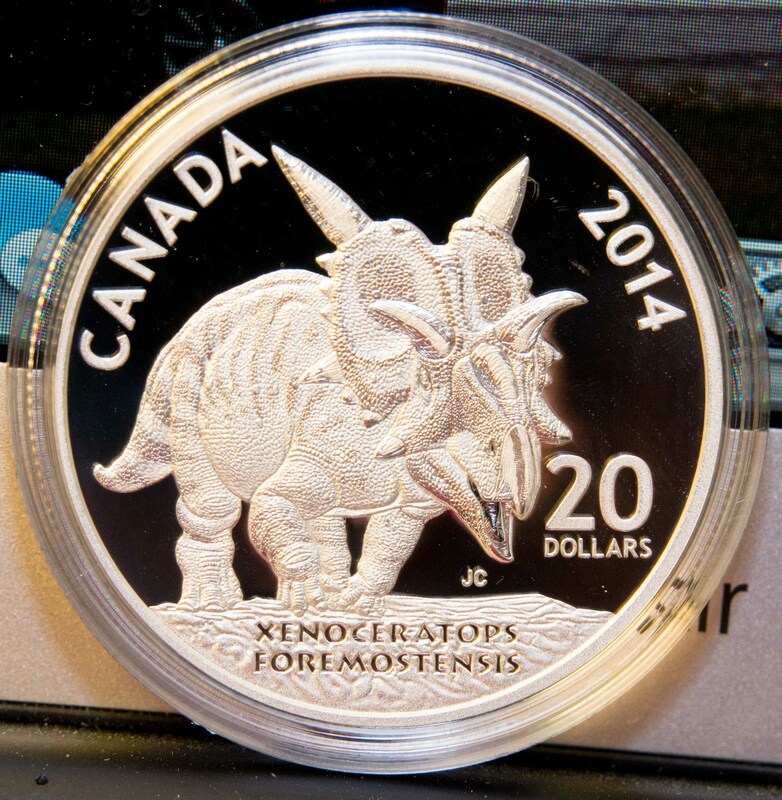 I received my latest silver coin from the Canadian Mint today and it shows my favourite dinosaur – a ceratopian; this one Xenoceratops foremostensis. Here is the lovely piece of art. This entry was posted in Fun stuff and tagged art, currency, dinosaurs, Royal Canadian Mint, tiktaalik by Diana MacPherson.Bookmark the permalink.